The physician at New York’s Bellevue Hospital feared that, if given a chance, this patient would run on forever, complaining about everything from her various aches and pains to the Metropolitan Opera. Prior to her visit, however, Ofri had read a Swiss study that found when doctors ask how they can help and refrain from interrupting, patients talk for just 92 seconds, on average. But she was certain this particular patient would take far longer. “I thought, ‘Okay, she’s going to take half an hour.’ I let her talk forever,” Ofri says. In fact, according to the stopwatch Dr. Ofri used discreetly, the patient finished talking after four minutes. What’s more, the patient revealed she felt better just by talking about her problems. And Ofri felt better too. “I realized it was finite and then it didn’t seem so overwhelming to me,” Ofri says. 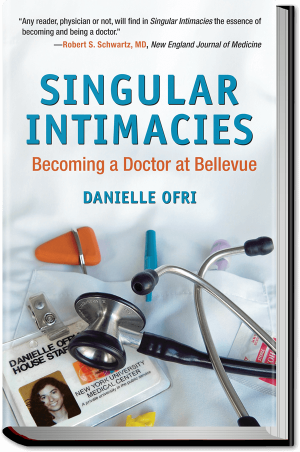 Ofri, who writes about her profession in the New York Times, argues in her new book What Patients Say, What Doctors Hear that the conversations doctors have with their patients are the most important part of a medical visit, far surpassing blood tests, X-rays or various scans. And she believes it’s time both doctors and patients give these conversations their due. The trouble is that the two parties often fail to see things from the other’s perspective, she says. Doctors can come across as rude or uncaring when they’re stressed, pressed for time, worried about making mistakes or struggling with their own personal biases. Patients can seem demanding or unco-operative if they’re scared, reluctant to divulge information that may be sensitive or embarrassing, or don’t fully understand their health situation. 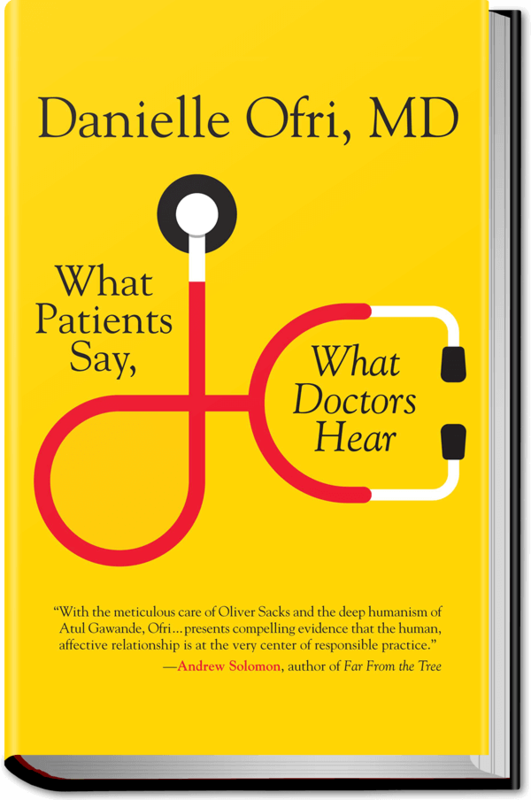 What the patient sees: Doctors fail to listen. They constantly interrupt. Or they’re distracted on their computers. Why it happens: Besides trying to listen to their patient, doctors are also having to renew medications, review lab work, pull up X-rays, order tests and complete mandatory documentation for electronic medical records during each visit, Ofri explains. All these tasks compete for doctors’ attention, and so they cut their patients off to get straight to the point. Ideally, doctors would focus on the patient and do all the paperwork afterward, but realistically, there’s not enough time. “You’ll fall so far behind, you’ll get dinged for being inefficient and making patients wait because patient satisfaction is very important. So it’s a no-win situation,” Ofri says. “I know there are some bad-apple doctors out there. But I think the vast majority have their hearts and their heads in the right place and they’re trying to do the right thing. They’re simply overwhelmed,” she adds. The solution: As Ofri found, hearing patients out takes less time than doctors think. And it’s actually more efficient to let patients talk without interrupting them. When she needs to attend to her computer, she adds, she tries to make it less intrusive. Patients, meanwhile, can make things easier by preparing what they want to say before their visit and prioritizing what they want to address. What the patient sees: Doctors don’t take your complaints seriously. They fail to see you as an individual. Why it happens: Doctors aren’t immune to their own internal biases and may make assumptions about their patients. Ofri admits she’s guilty of this herself. When a patient is known for being a complainer, Ofri says she may mentally downgrade what the patient has to say, dismiss it as just another complaint, and think that there’s nothing really wrong. “And of course, that’s a terrible thing to do because people who have lots of complaints also have real illness too, and you can miss something,” she says. Patients, she suggests, can point out when they feel their doctors are making assumptions about them. “It’s okay to stop [your doctor] and say, ‘Hey, I’m not sure you’re really hearing what I’m saying,’ or, ‘I feel like you’re jumping to conclusions about what I’m saying before I’ve had a chance,” she says. What the patient sees: Doctors fail to show compassion. They immediately rush into what needs to be done next, before the weight of their news has a chance to sink in. Or, in their attempt to soften the blow, they use confusing euphemisms or fail to make themselves clear. Plus, she says, doctors often aren’t well-trained to deliver bad news. They’re generally more comfortable with the medical steps that need to be taken. Thus, after giving a patient a cancer diagnosis, for instance, they may jump straight to the to-do list, discussing the scans they might need and setting up appointments with an oncologist. Meanwhile, the patient is still reeling at the thought of having cancer. “We forget. Once you say that, nothing else is going to be heard,” she says. The solution: First, doctors need to be honest. Patients “want to know what’s going on. They don’t want you to beat around the bush or use euphemisms or be condescending,” Ofri says. Once they’ve delivered the bad news, doctors need to allow patients time to process it. They should also check to see what the patient actually heard. Often, the to-do list can wait, at least for a little while, she says. What the patient sees: Doctors won’t own up to their mistakes. They try to hide or downplay their errors. Why this happens: Doctors’ fear of being sued. “Doctors feel like they have to put things in the best light possible because they have to choose their words carefully so as not to incriminate themselves into a lawsuit,” Ofri says. And far from lacking in remorse, doctors are often overwhelmed with shame and may doubt their own abilities when they slip up. The solution: Doctors need to be honest about their mistakes, Ofri says. They should acknowledge their errors, apologize and communicate how they will fix the problem to avoid making the same mistake in the future. Ofri notes that some studies have shown patients are less likely to sue when their doctors are upfront about their mistakes, and patients are more likely to trust their doctors and stay with them when they disclose errors. She also points out that during a hospital stay, there may be thousands of decisions that go into a patient’s care. Read an excerpt from Dr. Ofri’s What Patients Say, What Doctors Hear here.